If you have been locked out of your home or vehicle, or need new locks for your property, 24-7 Locksmiths Walsall is here to get things back on track quickly. Call today on 0844 870 8137 for the Midlands’ leading emergency locksmith service. Our locksmiths can be with you in as little as 30 minutes. We are not like any other locksmith in Walsall or anywhere else in the Midlands. 24-7 Locksmiths is 100% dedicated to customer service, which is why we are on-call 24 hours a day, 7 days a week, 365 days a year. Because you never know when you’ll need an emergency locksmith. 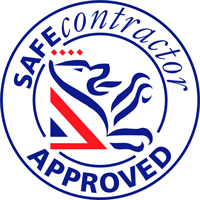 All of our work comes with a 12 month guarantee and there are no hidden costs or call out charges to be added when we provide you with a quote over the phone. We provide a full locksmith service including residential, commercial and automotive. Our skill and years of dedicated experience means that we are trusted by insurance companies to secure your property and provide you with the protection you need. Call us now on 0844 870 8137 and we will be happy to provide you with a quote.